On July 14, 2018, Penny will be celebrating 35 years as a Christian and 20 years as a licensed minister. She has been co-Pastoring Ministry House with her husband Ronnie for the past 4.5 years, and became a Licensed Pastoral Counselor in 2017. 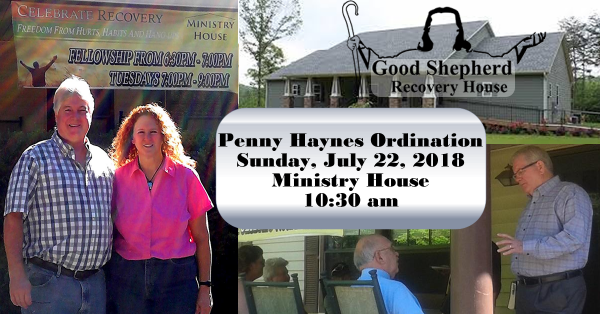 On Sunday, July 22, 2018, Penny will receive her Ordination from her husband Ronnie and her father in the Lord, the man who trained her in ministry and licensed her 20 years ago, James Nichols. 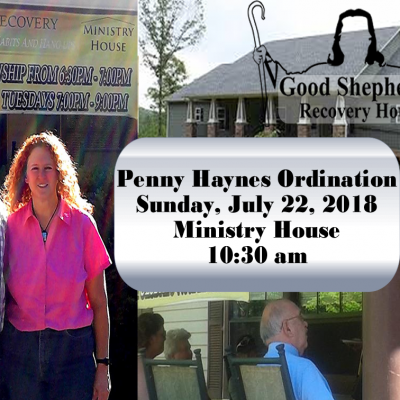 James, who is on the Board of RPM Ministries & Good Shepherd Recovery House, will be preaching at the Ordination Sunday Service on July 22, 2018. Join us for worship, the word, and Penny’s Ordination.